Taxation turns into a core issue in the corporate decision-making process with business becoming multinational. In this respect, when drawing up functional international strategies, both companies and individuals are compelled to take into account a bundle of direct and indirect tax issues. Our lawyers have substantial experience in Taxation, providing advice on structuring in a wide range of corporate and financial transactions, in order to achieve maximum tax benefits, leading to efficiency and optimization in all types of business. The team is also proficient in advising on the proper implementation of employee stock option plans. Closely connected to the Taxation practice and backing the international profile of most of our clients and of the businesses/transactions for which our advice is sought, the Customs practice of our firm consists in providing advice and assisting the clients to comply with the ongoing complexity of the relevant legislation and taking proactive stance with the customs authorities, so as to pursue administrative review for our clients and saving duties, fees and taxes without resorting to litigation. While our firm has the capacity to represent clients in any type of customs litigation and an excellent track record in this respect, our goal is to avoid the high costs and inherent uncertainties of litigation whenever the situation warrants. A leading German bank regarding the purchase of receivables owned by a Romania-based Supplier, including providing extensive analysis and assessment of tax implications on VAT, self-billing procedures, withholding tax and all other tax-related effects, as well as drafting the required guidelines and assistance in order to implement different operations. One of the largest music corporation in the world in connection with a prospective acquisition of a local company in the recording and publishing field, including with respect to tax aspects to be assessed for the purpose of such acquisition. The Romanian subsidiary of the world’s third largest manufacturer of high-end appliances with respect to the internal audit performed on past issues. One of the world’s foremost providers of consulting, technology and outsourcing services with respect to the merger by absorption of another company by the client. Our mandate included, inter alia, assistance with assessing the tax implications in connection with the envisaged merger, preparation of the pre-merger documents, as well as review of the computation figures in connection with the new shares to be issued as a result of the merger. Also, our mandate includes assistance for the implementation of the merger process. A transport and logistics company with respect to the recognition of social security contributions paid by residents/non-residents in countries other than the residency country. The Romanian subsidiary of an Italian multinational renewable energy company in a complex challenge initiated by its subsidiary against the tax authorities for recovery of VAT related to the connection fee paid for setting up new electricity capacities. Our mandate included, inter alia, submission of the case to the European Commission in order to obtain a legally binding interpretation of the EU VAT Directive implemented in the domestic legislation. An American international electronic commerce company in view of benefiting from several tax facilities for its employees, including drafting the relevant documentation. A Romanian real estate company with foreign investors in structuring its business in order to optimize, from a tax perspective, the company’s transactions. A company building wind power plants on various taxation matters in relation to the envisaged construction of wind power plants in Romania, such as VAT implications, as well as an analysis of the tax on constructions. We also provided assistance with respect to the tax audit regarding VAT reimbursement, including drafting the relevant point of view. A global energy player and an expert operator in the three key sectors of electricity, natural gas and energy services, regarding the necessity to obtain a license in order to conduct certain proposed activities in the field of natural gas/electricity, as well as further assistance with respect to the activities performed in Romania, including the necessity of having a permanent establishment in Romania and various tax implications thereof. The Romanian subsidiary of a global infrastructure, ﬁnance and media company in connection with the assignment of VAT receivables and the implementation of the respective procedure. The leading global provider of content management and worldwide transmission services for professional broadcasting during the public tender and advising the company with respect to the tax implications of the agreement to be concluded. A leading wind power solutions provider in connection with the tax effects related to the company’s restructuring of its business through the sale of shares. Our work consisted in providing A to Z tax assistance related to the project, including preparation of the required transaction documents. A Spanish manufacturer of railway vehicles and equipment, with respect to the tax implications arising from the agreement concluded with a Romanian entity acting in the field of public transport. The Romanian subsidiary of an international electricity company based in Graubünden Canton (Switzerland) in connection with the tax and accounting regime of green certificates acquired by electricity suppliers. A leading global health care company in connection with the tax effects related to various structuring and implementation of the company’s corporate reorganization of its business in Romania (i.e. via disinvestment of various business lines), regarded as complex corporate & business reorganizations in Romania. A to Z assistance in relation to the local separation, starting with legal work including the incorporation of the new Romanian entities, undertaking extensive due diligence on the separation projects, assessing financial and tax implications arising from the transfers of business, as well as preparation of the required transaction documents. 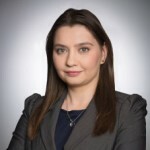 A large financial services and investment company, the number 1 broker on the Romanian market, in assessing the VAT implications arising in connection with the goods and services acquired. The Romanian subsidiary of a leading company acting in the energy field during the general tax inspection and during the dispute relating to the afferent tax decision. We also assisted the company with respect to the tax implications of the share capital increase with the value of real estate for which certain specific ownership certificates were issued. A major local FMCG producer with respect to the tax implications on the sale of a large real-estate property. Our mandate also included drafting the sale-purchase agreement. Also, we advised the company on the tax implications with respect to the purchase of a major business line and on the tax implications. A permanent diplomatic mission in Romania on the fiscal treatment of income derived by members thereof for the activities performed in Romania in their official capacity. 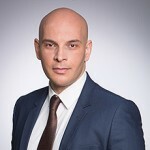 A Romanian entity of a reputed construction company active in Italy, Romania and Bulgaria in a complex fiscal litigation case initiated against the National Agency for Fiscal Administration (ANAF) on VAT due to the State budget. The Romanian entity of an international telecommunication group acting in more than 70 countries in a fiscal litigation case initiated against the National Agency for Fiscal Administration (ANAF) related to profit tax and VAT matters. One of the world’s largest beer producers in relation to drafting and obtaining a binding ruling on behalf of its Romanian group entity from the Romanian fiscal authorities (i.e., the National Agency for Fiscal Administration) in connection with the share plans organized abroad, wherein the Romanian entity is a participant. One of the largest companies acting in the spirits and wine industry in the USA in connection with its entities in Romania. Our mandate also covered the assistance during the general tax audit performed by the tax inspectors at the Romanian branch and regarding the tax challenge against the Romanian tax inspectors’ findings. A large Canadian company engaged in the exploration, development and production of crude oil and natural gas in selected areas of the world on the whole array of VAT, customs duties and corporate income tax issues in relation to its operations in Romania’s exclusive economic area of the Black Sea. The Romanian subsidiary of an Italian multinational renewable energy company in performing a thorough financial and tax due diligence exercise with respect to five companies developing photovoltaic energy generation projects. A leading pharmaceutical company in relation to all claw-back matters in Romania. 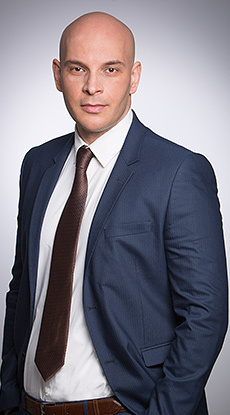 According to the applicable pharma legislation, the marketing authorization holders for medicinal products or their legal representatives are obliged to pay a quarterly “claw-back” contribution for certain categories of medicinal products, borne out of the National Sole Social Health Insurance Fund and out of the Ministry of Health’s budget; legal work includes assistance in connection with the registration with the National Agency for Fiscal Administration and the National Health Insurance House of the legal representative of the marketing authorization holders, preparing the preliminary complaints to be submitted before the National Health Insurance House, preparing the court challenge in connection with the claw-back contributions, assisting the Client during the claw-back tax related audits, as well as representing the Client before the court in the claw-back related litigation. A leading healthcare company in connection with claw-back matters. Legal work includes drafting the preliminary complaints to be submitted before the National Health Insurance House, preparing the court challenge in connection with the claw-back contribution, as well as representing the Client before the court in the claw-back related litigation. A leading Swiss provider of trust and fiduciary services, as well as tax and legal advice in assessing the tax implications triggered in Romania by restructuring the worldwide business pertaining to their Romanian clients. 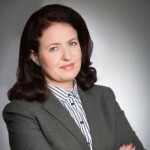 Our work also involved drafting a letter to the Romanian tax authorities (e., the National Agency for Fiscal Administration) regarding the Romanian tax implications deriving from a business structure involving a foreign Trust wherein Romanian individuals are settlers and beneficiaries of the Trust. A Romanian public entity managing the public and private domain of a county in Romania in disputing various tax decisions concerning VAT-related issues. One of the six “super major” oil companies worldwide for the acquisition of a main player on the domestic market of liquefied petroleum gas distribution. A leading mobile phone producer with respect to structuring the customs operations of its Romanian subsidiary in line with existing European arrangements of its group, as well as obtaining related customs licenses, authorizations and permits, but also with respect to disputing a customs tax decision for over EUR 6,400,000, issued after reconsideration of the customs regime for specific items. A major logistics provider in connection with the tax audit performed by the Romanian tax authorities (the Environmental Fund Administration) related to environmental tax matters. Our mandate included, inter alia, assistance during the tax challenge procedure against the Environmental Fund Administration subsequent to the tax audit performed, as well as seeking suspension of the forced execution procedure started by the Romanian tax authorities. A major Canadian mining group on various taxation matters in relation to its investments in Romania (USD 2,000,000,000 to 4,000,000,000) concerning the exploration and exploitation of a large mining site in Romania, including successful assistance in multiple tax litigation cases involving VAT and profit tax. The largest offshore drilling contractor in the world in connection with the customs proceedings for the rig to be used for prospective drilling operations in the Romanian exclusive economic area of the Black Sea. A leading energy producer and distributor on various taxation and social security issues related to domestic and foreign employees, as well as on stock option plans. A major equipment producer in relation to the tax and customs regime of cross-border and domestic leasing. A major U.S.-based agricultural company in connection with the Romanian fiscal regime related to the payment operations. The Romanian subsidiary of one of the biggest pharmaceutical players on the Romanian market with respect to rescheduling receivables to be collected from local distributors and their related tax effects. A leading global health care company following extensive tax and legal due diligence, on the tax effects of the consolidation of its Romania-based vehicles, including a representation office and a subsidiary, via transfer of assets and related personnel. One of the largest European providers of dialysis medical services and equipment for day-to-day tax assistance in connection with a merger between inter-group companies, reclassification of freehold transactions in the meaning of reflecting a business content, recognition of certain items as intangible assets, etc. An American multinational company that designs, develops and sells consumer electronics, computer software and personal computers on the local tax consequences triggered by concluding online advertising agreements with third parties through local operating agents/representatives of the company. We also advised a subsidiary of the company, in assessing the VAT treatment in connection with the sale of gift certificates and allowances and in assessing the tax implications in connection with the new structure proposed in respect of the company’s expansion for business and educational institutions. Numerous clients, among which a leading European player in the environmental services sector, the world’s largest manufacturer of tapered roller bearings, a global healthcare leader, , inter alia, on matters pertaining to employee stock option plans which involved advice on the legal and tax implications and assistance throughout the implementation of such plans, including fulfilling the necessary formalities with the competent authorities and institutions (e.g., the National Bank of Romania), obtaining the necessary clearances and applicable pass porting facilities, social security payments, etc. One of the major companies and the second largest bancassurer in Belgium, inter alia, on the potential tax implications of the available restructuring options concerning its Consumer Finance operations in Romania. One of the world’s largest electronic producers before the local tax authorities during the endeavours for restructuring its activity in Romania, following the merger between two of its subsidiaries. The Romanian entity of a leading pharmaceutical company in relation to drafting and obtaining a binding ruling from the National Agency for Fiscal Administration. Also, our mandate included assistance for administrative suspension of the forced execution procedure started by the Romanian tax authorities, as well as successfully representing the client before the court for judicial suspension of the enforcement. A real estate investor and developer active in Lithuania, Central and Eastern Europe in connection with the taxation of receivables assignment, including advising on the applicable profit tax regulation, double taxation treaties and transfer pricing rules. The Romanian subsidiary of a large German mass-media company in multiple litigations against the Romanian fiscal authorities regarding the annulment of debt rescheduling decisions. A Romanian subsidiary of a real estate investor active in Central and Eastern Europe in a complex litigation initiated against the tax authorities for VAT recovery. One of the world’s top producers of software products in connection with the tax implications of software product distribution in Romania via direct download from internet and the qualification of payments under Romanian law. A major European provider of global wholesale telecommunication services in connection with the tax implication in case of purchasing, installation and operation of telecommunication equipment in Romania. Two subsidiaries of a major real estate investor and developer in complex VAT litigation procedures against the local fiscal authority arisen from the acquisition of two land plots in Bucharest and Ploiești for the development of major residential projects. A Romanian metallurgical company, part of an international group in a judicial procedure against the seizure of stocks consisting of its patented invention of road building material with a value exceeding EUR 6,000,000. The subsidiary of the leading IT business solution player with respect to various tax issues deriving from the collection of bad receivables. A major cosmetics producer in relation to customs and cross-border tax issues. An airline catering company in Romania with respect to various tax litigations against the Romanian Ministry of Finance, involving VAT and income tax. One of the world’s largest producers of kitchen appliances and equipment in relation to the administrative procedures for challenging the conclusions of a fiscal inspection report drafted by the fiscal authorities. A leading Romanian distributor of agricultural machines on the whole array of VAT, customs duties and corporate income tax issues in relation to its operations in Romania. A leading Romanian manufacturer of automotive parts on transfer pricing adjustments performed with related parties and possible implications arising from the current adjustments. Also, we have been appointed by the Client to prepare the transfer pricing documentation as per the local law requirements. Ranked as “Leading” law firm in Taxation by the prestigious British publication PLC.